Ricoh has just launched on the European market the brand new MP2851 and MP3351 featuring speeds resp. 28 and 33 ppm. These monochrome A3 MFP are a recast of the previous series in the portfolio : the MP2550 and MP3350. They feature the same print server and finishers than their predecessors. 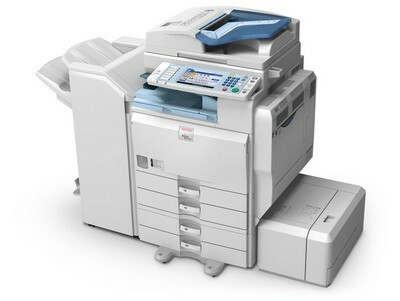 However, as on the new MP4001 and MP5001, Ricoh integrated "App2Me" (MFP personalization widget framework) and the devices are shipped as standard with PPDM "Personal Paperless Document Manager", a scan-route OCR solution (Nuance re-labelled). You can check out these new devices now!